A Roku® streaming player displays a purple screen as shown below with the message “HDCP unauthorized. Content disabled”, or just a plain purple screen, if it detects that the TV or Audio/Video Receiver (AVR) does not support the proper content protection technology, called HDCP. HDCP is the standard the movie and TV industry requires for preventing copying of digital audio and video content over an HDMI® cable link. 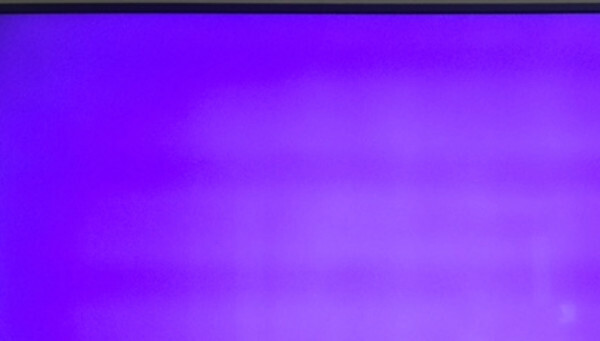 If your TV or AVR does not support HDCP and you try to play video, you may see one of the purple screens below. This issue may also be a result of other problems like a faulty HDMI cable or HDMI connector. This FAQ explains how to resolve the issue of seeing a purple screen when using your Roku player. If you are trying to stream 4K Ultra HD content when you see the purple screen, review the instructions for setting up your Roku player for 4K. Go to the next step if you continue to see a purple screen. On both your Roku player and your TV or AVR, unplug each end of the HDMI cable. Power off your TV and your Roku player and unplug their respective power supplies. Reconnect both ends of the HDMI cable, pushing them firmly, all the way in. Reconnect your TV and your Roku player to their power supplies and power them on. Try viewing the video again. Try using a different HDMI cable (less than 6 feet if available), just to make sure the cable you are currently using does not have any defects. If you are using an HDMI switch or AVR, try connecting the Roku player directly to the TV. Try another TV, if possible. If you are using a computer monitor, try using a TV, if possible. If this is the first time you are seeing this HDCP purple screen after setting up your Roku player, ensure that your TV and/or AVR supports HDCP. Contact your equipment manufacturer for more information. Where can I access Malimar TV? What devices support Malimar TV Network? Allow Malimar TV Support Agent to remotely connect to your desktop or device without having to install any software.